The Kelsey Chapter serves native plant enthusiasts in the greater Helena area. Bob Person, can help with contacts and organization. Members who want to organize a program or activity may contact Bob as well. Celebrate Wildflowers in May. Spring is coming and with spring come spring wildflowers in Helena’s South Hills. Every year, the Helena/Lewis and Clark National Forest, Montana Discovery Foundation, Prickly Pear Land Trust, and the Kelsey Chapter of the Montana Native Plant Society host a series of events to celebrate these messengers of spring. 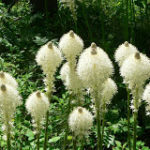 Thursday, May 9 at 7:00 at Montana Wild, Bob Person and Mary Johnson of the Montana Native Plant Society, Kelsey Chapter will present a slide show on Spring Wildflowers of Helena’s South Hills. 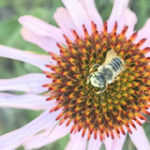 This program highlights the most common spring blooms you will see and may be a good introduction for a novice or a reminder for the more experience wildflower lover. As the main focus, Celebrating Wildflowers hikes on Mt. Helena with 4th grade classes. If you would like to volunteer as a hike leaders for one or both sessions please contact Liz Burke at lizburke@fs.fed.us . The hikes are scheduled for Wednesday, May 22nd with a morning session from 8 a.m. -11:30 a.m. and an afternoon session from 12:30 p.m. -3:00 p.m.
We will flag wildflowers on Sunday, May 19 at a time TBA (contact Bob Person (kelseychaptermnps@gmail.com) to help with this – very easy, not much help needed). We will leave the flags out for the week for all to enjoy as well as to help with the hikes. A hike leader training session will be Tuesday evening, May 21st from 5:30 – 8:00 p.m.. This tuneup is designed for hike leaders but is open to the all MNPS members and the public. 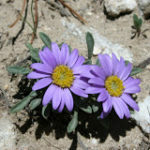 Finally, on Thursday, May 23rd at 7 p.m. the Prickly Pear Land Trust in cooperation with the Kelsey Chapter and the Montana Discovery Foundation will host a wildflower hike for the general public on the same route – contact Bob Person, (kelseychaptermnps@gmail.com) for questions. All field events will begin and end at the main Mount Helena trailhead. Montana Native Plant Society Annual Meeting. Plans are moving forward rapidly for the Society’s Annual Meeting hosted by the Kelsey Chapter this year. See the separate article in this Kelseya for details. Kelseya uniflora Field Trip – Trout Creek Canyon Trip Report For several years, we had hoped to conduct a field trip to see the Kelseya uniflora in full bloom, but the uncertainty of spring weather has foiled our attempts. Last year, we succeeded. Six Kelsey Chapter members journeyed out to see the spring bloom in as mild spring snowstorm. Our species list, according to the Lesica rule (only blooming plants counted) was 1, Kelseya uniflora. These three pictures show the plants in bud or just beginning to bloom on April 6, 2017. February 13, 7-9 p.m. – Lewis and Clark Library Large Meeting Room – Botanical Art & Illustration. For centuries art has been an essential companion to botany as a means of communicating botanical information and aiding plant identification. In the process, botanical art has also developed as an aesthetic tradition of its own. Kelsey Chapter member and botanical artist, Jane Fournier, explained with a beatifully illustrated program how art and botany have supported each other from early times through the so called “golden age” of botanical art, and in more modern times. The program also looked at the process, from concept to finished plate for a typical botanical drawing or painting. See below for a related hands on program on March 6. February 20, 7 – 9 p.m. Montana Wild. This year, the Montana Native Plant Society published a book of biographical sketches of botanists who first explored Montana’s native plants. The book, Montana’s Pioneer Botanists: Exploring the Mountains and Prairies is destined to become a classic in this field. Columbia Falls resident and Montana Native Plant Society Board Secretary, Rachel Potter, who co-edited the book along with Peter Lesica, shared choice vignettes from the book, as well as interesting things that happened while creating this unique project with 19 authors and 32 artists and photographers. For book reviews and more, click here. February 21 – 22. The biennial Montana Plant Conservation Conference was held in Helena. Complete information is available in the Winter Kelseya and here. March 6, 7-9 p.m. – Lewis and Clark Library Large Meeting Room – Botanical Art – Hands On. From recording something observed in the field to creating a work of art, all botanical art starts with the same basic observation and drawing skills, which, by the way, can be learned by anyone. For this hands-on program, Kelsey Chapter Member and Botanical Artist, Jane Fournier, using plant samples and basic drawing tools, took participants through some simple exercises to loosen up and highlight observation skills before drafting an accurate graphite drawing of a plant sample. April 11, 6:30pm, Lewis & Clark Library – Seed: The Untold Story. We enjoyed a fun free night at the movies with popcorn! SEED: The Untold Story is a documentary that is as entertaining as it is informative. Seeds are vital to our life creating nourishment and self-sufficiency. With the advent of modern farming, biotech chemical corporations control a majority of our seeds, farmers, scientists, and lawyers. This eye-opening film explores the connections among seeds, life, genetically modified organism (GMO), biodiversity, self-sufficient communities, and agriculture. This movie was a special showing made possible by Collective Eye Films and our local chapter of the Native Plant Society. Many thanks to Andrea Pipp for setting up this program. The Flora of Mount Helena permanent specimen collection is housed in the Montana section at the Lewis and Clark Library in Helena. The collection is arranged alphabetically by scientific name. Nomenclature follows Dorn 1984. An index is provided that allows cross-referencing by common name and common family name. Click here for a pdf file of the species list. The Flora of Mount Helena collection is a joint project of the Kelsey Chapter of the Montana Native Plant Society and the Lewis and Clark Library. The Kelsey Chapter formally donated the specimen collection to the Lewis and Clark Library in 1999.